I never knew about Essex’s ‘TOWIE’ stereotype until I went to University. My grandparents live there, and I would spend months there as a child in the summer. For me, Essex has some really beautiful countryside, and I absolutely loved spending time there, especially in my grandparent’s garden where they would grow absolutely everything. And I mean everything – chillies, pak choi, pumpkins, tomatoes – my grandparents usually only have to pick up milk, meat and the paper when they go down to the shops, and all the fresh produce is absolutely delicious. 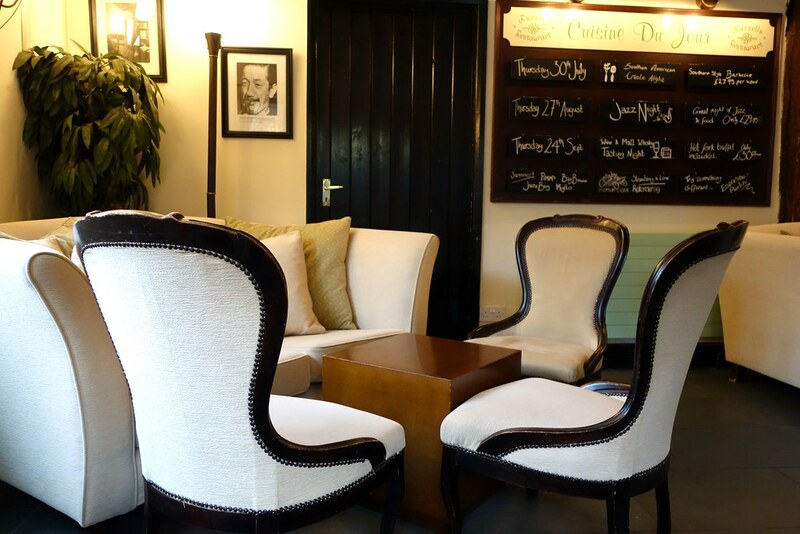 There are so many amazing hidden gems in Essex, and Russell’s Restaurant in Chelmsford is one of them. The building dates back to 1372, and is a converted barn. Before it was a restaurant, it was a woodshed, where my grandfather would go to buy wood. 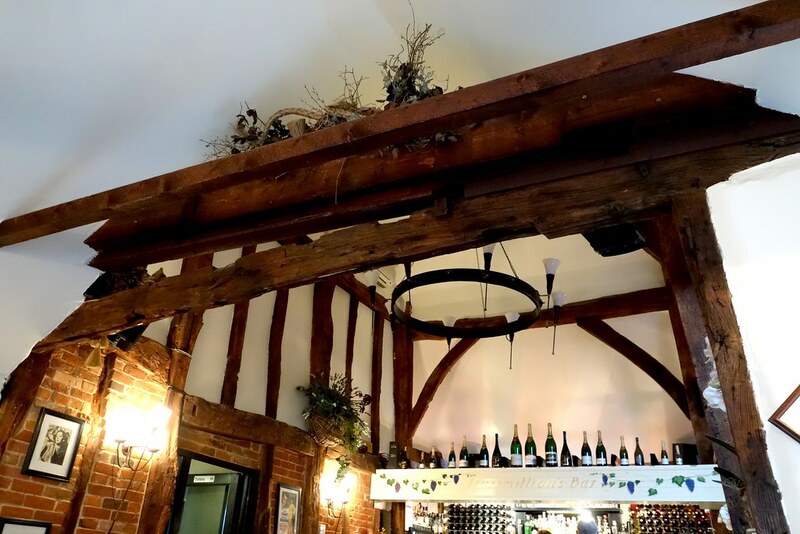 The restaurant has kept some of the original features, like the beams and high vaulted ceiling, which gives it a very rustic feel. 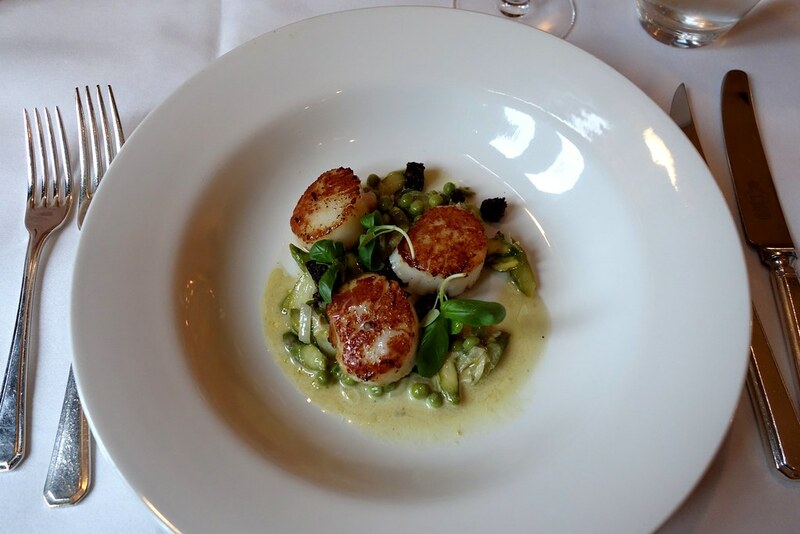 For my starter, I had the seared king scallops, which were served with a pea and asparagus compote, black pudding and black truffle oil. 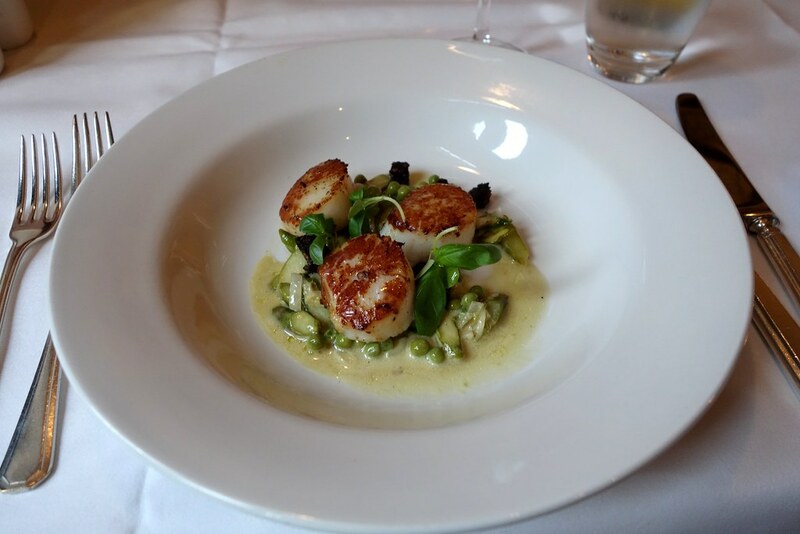 Scallops are one of my favourite things, and if it’s on a menu it’s a pretty safe bet that I’ll be ordering it. 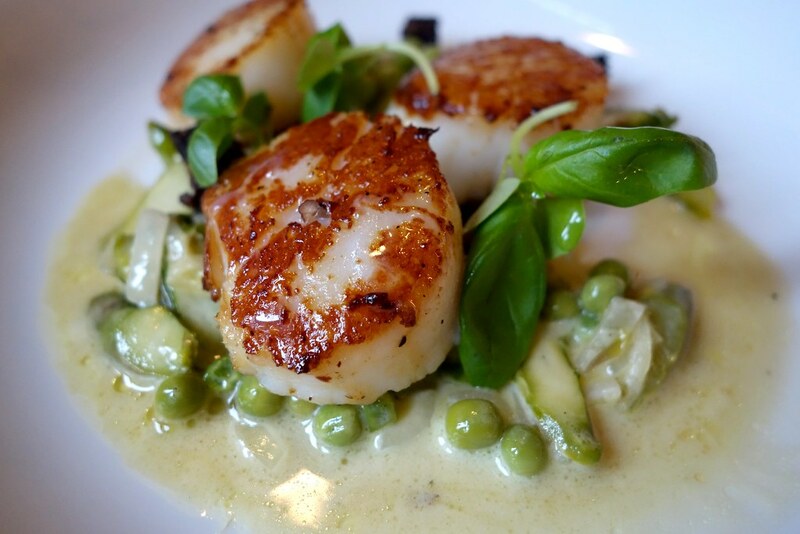 These, in my opinion, were perfect – which is very high praise, as scallops are really easy to get wrong. These were perfectly seared and crisp on the outside, but really juicy inside – not at all stringy (which is the worst!) and the combination of asparagus, black pudding and truffle oil was divine. 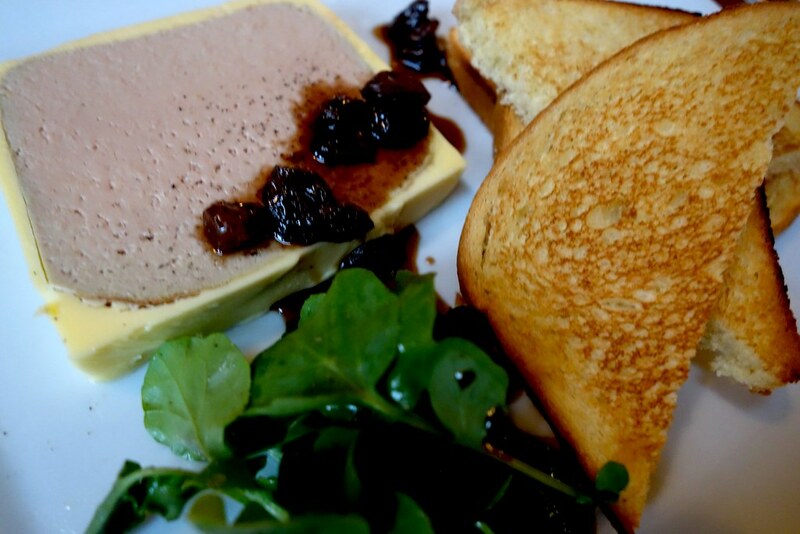 My dinner date had the chicken liver parfait, a pate served on toasted brioche with a sultana and sauternes jus. 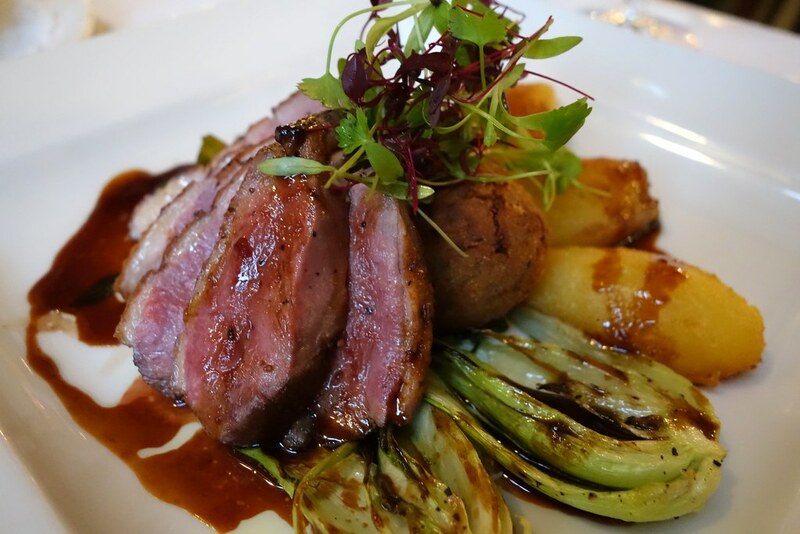 This was followed by a main course of duck – a seared Gressingham duck breast served with duck rillette bon bons, roasted pommes de cocotte potato and sauteed pak choi with cumberland jus. The duck was beautifully cooked, and the meat was meltingly tender. For my main course, I went for the Tournedos Rossini, served medium rare. 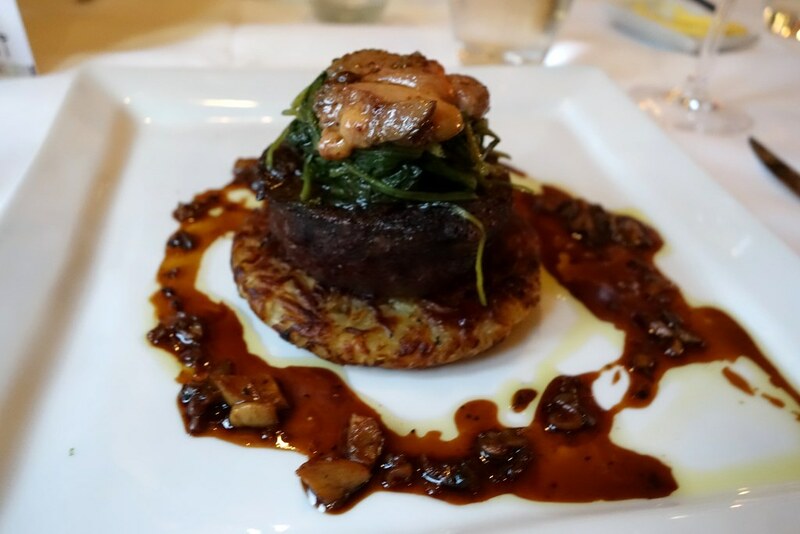 The aged fillet of Aberdeen Angus beef was served on top of a potato and parsnip rosti, and was topped with seared foie gras, baby spinach, truffle oil and a wild mushroom jus. Basically, it was a whole list of my favourite ingredients on top of one another, and it was delicious. 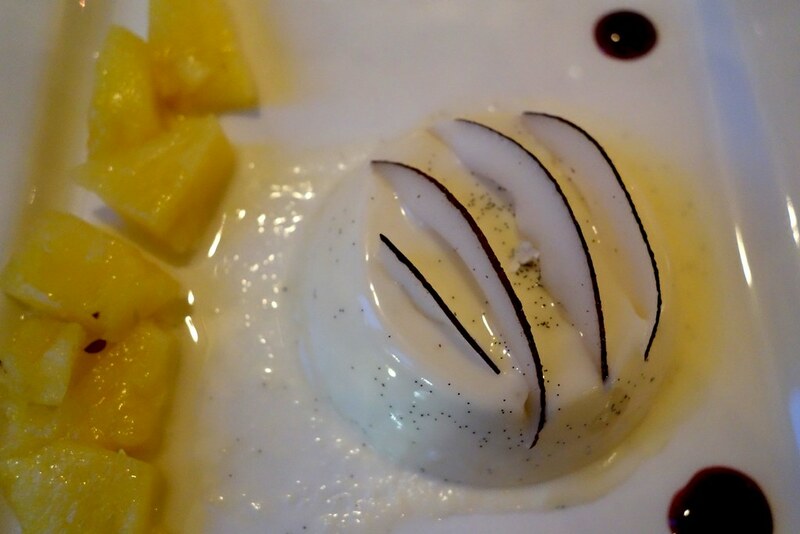 The flavours were delectable, and the whole dish was presented impeccably. 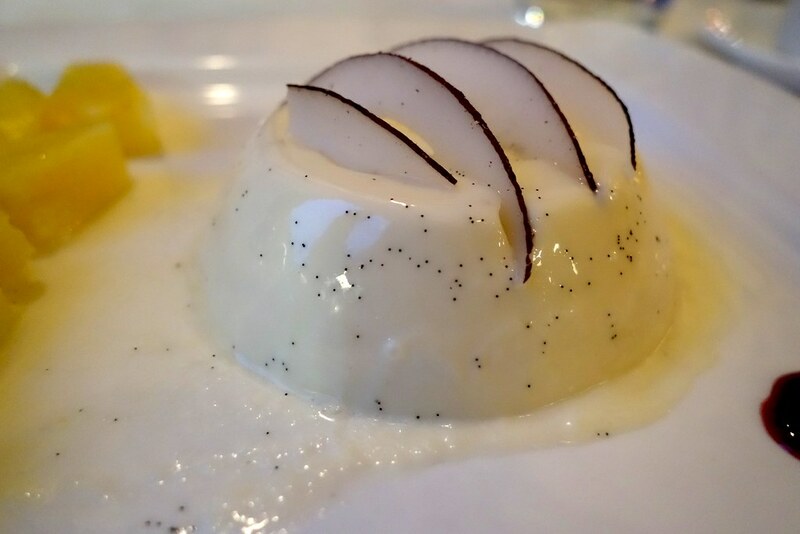 After dinner I went for a coffee followed by a coconut and Malibu pannacotta topped with toasted coconut and sweet candied pineapple. 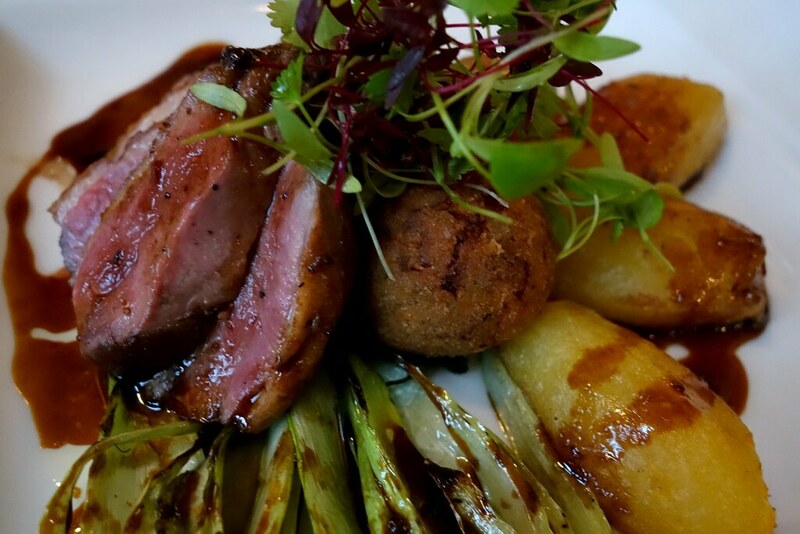 The standard of the food and service is really impressive – and the venue has a lot of character, and for the quality of the meal, the price is really quite reasonable. Have you ever been to Russell’s Restaurant? Comment below, and be sure to follow me on Twitter, Facebook or Instagram! The food looks beautifully presented, I love the idea of the pate and the steak. Haha thanks frankie! It’s so good – it’s making my boring salad lunch look very sad in comparison!